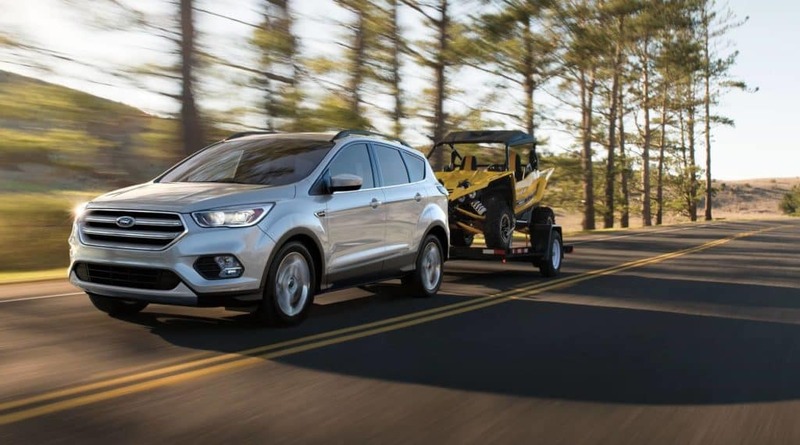 The baseline Ford Escape S model offers a maximum towing capacity of 3,500 lbs with the available 2.0L EcoBoost engine and Class II Trailer Tow Package. The Class II Trailer Tow Prep Package offers trailer sway control to deliver both safety and efficiency. The 2.0L EcoBoost engine delivers optimized performance, efficiency, and 3,500 lbs of towing power through direct fuel injection and turbocharging. A number of powertrain options are available, including the 2.5L iVCT I-4 engine and the 2.0L EcoBoost. The new Ford Escape offers a great balance between towing capacity, performance, and fuel efficiency, perfect for driving down those Glenwood Springs roads. Discover how the Ford Escape stacks up against its competitors, including the Toyota RAV4 and the Chevrolet Equinox and take your preferred Ford Escape model for a test drive today at Glenwood Springs Ford near Rifle.